ClicTime have added two new watches to their LEGO® Star Wars line-up. The galaxy’s most feared bounty hunter and the bravest astromech droid in the Resistance are now available as new buildable minifigure watches. 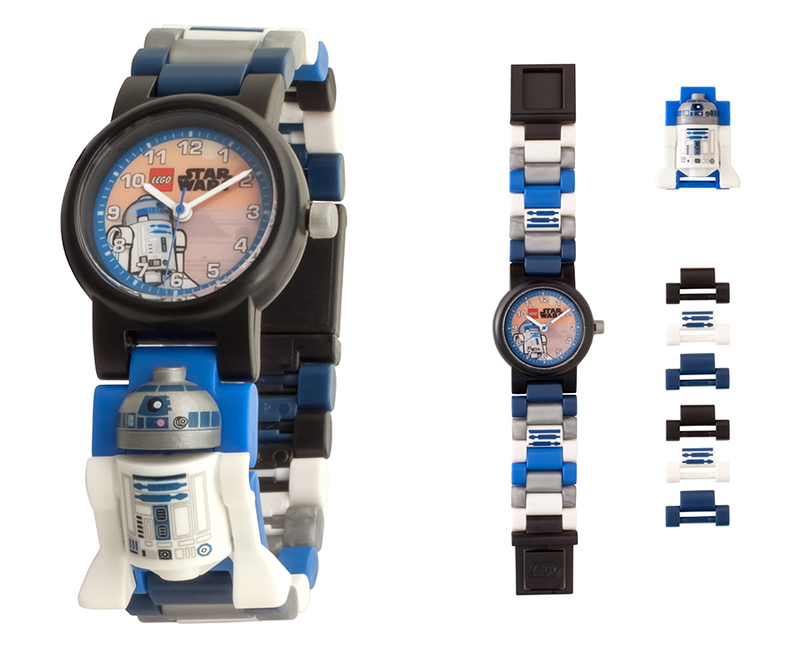 Both watches feature special minifigure links featuring Boba Fett and R2-D2 plus new printed links. You’ll find the new watches now at Amazon. Check out both new LEGO Star Wars watches below. As you wish! The master Mandalorian Bounty hunter has come to life with this LEGO® Star Wars™ Boba Fett™ Watch with Minifigure. Boba Fett is an infamous male Bounty Hunter from the planet of Kamino. Boba was the son and genetic clone of Jango Fett, a Bounty Hunter. Jango taught Boba all the combat skills needed to become a bounty hunter and during the rise of the Galactic Empire, Boba gained a reputation as one of the galaxy’s deadliest bounty hunters. He became well known to galactic fugitives who had bounties on their heads. Boba wore distinctive Mandalorian armour and travelled on his late father’s vessel Slave I which was armed with laser cannons and projectile launchers. 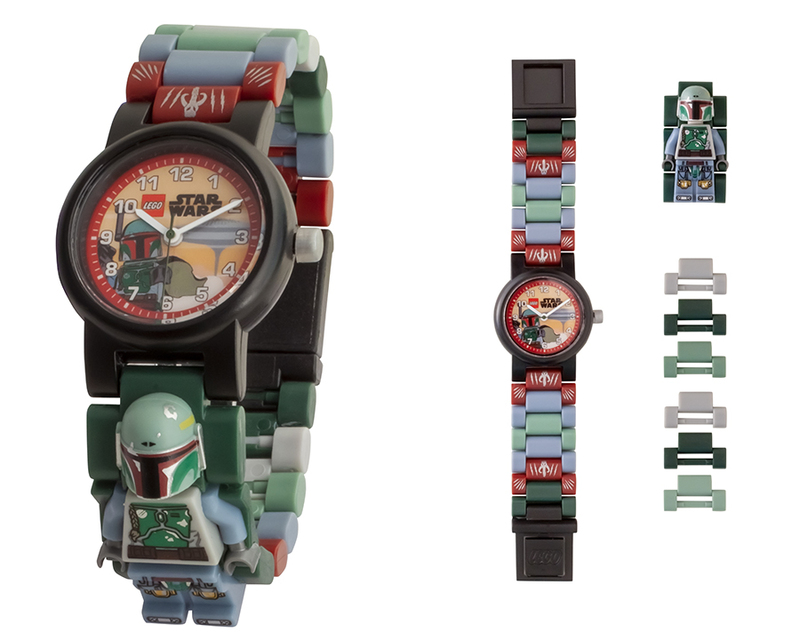 This Boba Fett watch comes with multi-coloured, interchangeable links and an easy-to-read watch face. With your favourite LEGO® Star Wars™ bounty hunter integrated into your watch strap you never need to fear! R2-D2’s here to handle it. Explore the galaxy with the LEGO® Star Wars™ R2-D2 Minifigure Link Watch! The quick-witted astromech droid will make the perfect smart and loyal companion to travel with you on every occasion. Even in the toughest of Galactic Wars, R2-D2 shows remarkable bravery that any wearer would be proud of! There will never be a dull moment with an R2-D2 minifigure built into your watch strap! The watch features multi-coloured, interchangeable links for you to build and design! With the help of your favourite Star Wars character, you can create a unique watch to fit most wrist sizes. Believe me, I’ve never seen a jam he couldn’t build his way out of!